If you need to have work done on your central heating system or boiler make sure you get the right heating engineer and not a rogue trader. 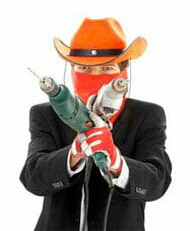 We provide you with the essential questions to ask to make sure you don't get a cowboy builder when you have work done on your boiler or central heating system. If you need to employ a heating engineer for fitting central heating or replacing a boiler etc. you want to be sure you have the right professional, and knowledgeable, person don’t you? We help you ask the right questions (see below), so you can get a feel for how professional and knowledgeable they are, and if they know their stuff they won’t mind a bit. The questions are only awkward if the trader is not genuine! 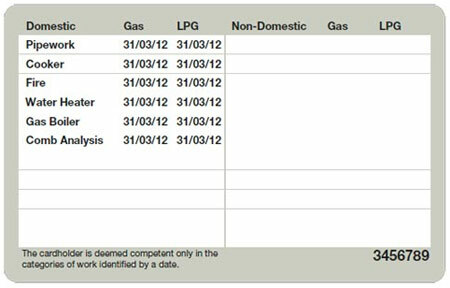 If you have any gas work done at home the engineer must be registered on the Gas Safe Register at the very least. So check they are and ask how long they have been on it. Make sure you see their GasSafe ID, that is shows a picture of them and that the date is correct. 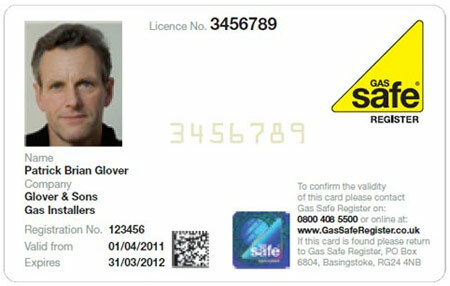 Technically speaking, if your gas engineer posses a GasSafe card and it is genuine and in date then they have to be registered with the gas safety register and therefore should have all the necessary knowledge to work on your gas appliances. One other point to note is that even though the person in question may be registered they may not have the qualifications to work on certain items and appliances. To find out what they can do, check the back of their ID card (see above image) and it should state what they are able to do. Check that they are able to do the work you are asking them to do. When having gas work carried out in your property, no matter what it is you should always use a GasSafe registered engineer. If they are not Gas Safe registered then they are illegal – more information about spotting illegal gas engineers can be found here. If you would like to know a bit more about gas safety and what it involves to stay safe when working with gas and around gas appliances then checkout out gas safety project here. Also ask if they belong to any other registered Trade Body such as OFTEC – the Oil Firing Technical Association, and if they say they are check that out too. Make sure you thoroughly pick their brains about your particular job – what can you and can’t you have done, and how much will each choice affect the cost? They are experts so they should be able to answer your questions confidently. If they are positive and helpful now, they are more likely to give you a good service if you employ them. Don’t be shy about checking out their payment terms, and do not touch them with a bargepole if they offer to do the job cash-in-hand. It’s illegal and makes void any manufacturer’s warranties on materials or equipment. Feel perfectly justified in asking what happens if things go wrong. It pays to be open and up-front about your concerns and to plan for contingencies. Part-payment up front is perfectly reasonable for the cost of any materials. Make sure this means you own them if things go wrong, and pay on delivery of the goods. Can you provide your GasSafe Register number? How long have you been on the GasSafe Register? Can I see proof that you are insured? Do you belong to a Trade Body and do they offer a mediation scheme should something go wrong? Would you be happy to sign a Desired Outcome Building Contract (available free from DIY Doctor) to control the work? Please supply me with details of a couple of other customers who would be happy to vouch for you – where their job was similar to ours? Would you be prepared to use a secure Third Party Payment Plan? How long will the work take, what happens if it takes longer? When could you start, and is that a guaranteed start date? What sort of boilers can you suggest, which boiler is the best value for my household, and which one do you recommend for me, why? Is it cheaper for me to replace my old boiler in the same place or can I move it. How much extra would it be to move it if I can? What capacity will that boiler have, and will meet my needs? What if my needs change? Do I need to replace any radiators, or add any pipework? Is there any other costly work required to get a good job such as; will my timer and/or thermostat have to be replaced, or will my water tank need to be altered? Who is responsible for getting rid of rubbish? See more about avoiding Rogue Traders in our Project section, and you can start your search for a good tradesman by going to our Find a Tradesman section to find a good engineer in your area.